During World War II, some Polish people found refuge in Africa. The documentary film Memory is Our Homeland tells their story. Below are the names of all the films which won awards at the 2018 edition of RIDM. (Rencontres internationales du documentaire de Montréal). I copied them directly from the press release. To my surprise, I did not see any of the winning films. 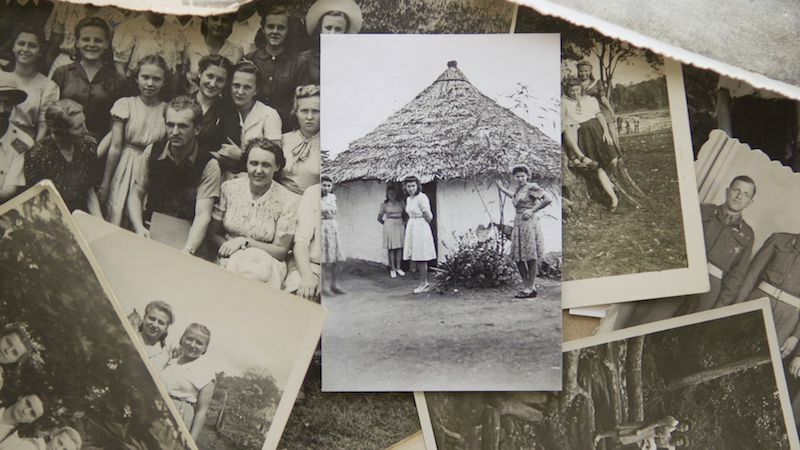 I certainly intended to see Memory is Our Homeland, a 90-minute feature about Polish refugees who found a warm welcome, in both senses of the word, in Africa during World War II. Both screenings were sold out, though, so I could not get in. (The subject is intriguing enough in itself, but I am relatively certain that director Jonathan Durand told me about the film at an earlier edition of RIDM, when he was doing research for it. I had hoped to see Zagros, a 58-minute film about natural yarn dyeing and carpet weaving in Iran, but its two screenings conflicted with my other choices. Now that these films have won prizes, I hope that they will be shown again in Montreal. The filmmakers are Québecois, which should help, too! 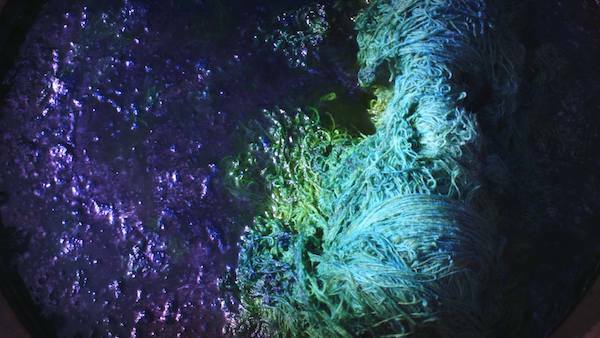 This still from the film Zagros features some of my favourite colours! Montreal, Saturday, November 17, 2018 – The Montreal International Documentary Festival (RIDM) ends tomorrow, November 18. The award winners for this 21st edition were announced during the closing ceremony that took place this evening at the Concordia University’s Alumni Auditorium. GRAND PRIZE FOR BEST INTERNATIONAL FEATURE presented by Bell Media. The jury for the international feature competition was composed of Mads Mikkelsen, Maria Augusta Ramos, Daniel Sponsel and Barbara Visser. The Canadian feature competition jury was composed of Carlos Bonfil, Rosalie Lavoie and Fabienne Moris. The jury for the Canadian and International short and medium-length competitions was composed of Kalina Bertin, Tijana Djukic and Eric Hynes. The jury for the Magnus Isacsson Award was composed of Jocelyne Clarke, Martin Frigon (ARRQ), Viviane Saglier (Cinema Politica), Frederic Bohbot (DOC Québec) and Richard Brouillette (Main Film). The jury for the Students’ Award was composed of Loïc Piché (Collège de Maisonneuve), Florence Frigon-Morin (Cégep Marie-Victorin), Julia Bonis Charancle (Collège Dawson), Maika Hearson (Cégep André-Laurendeau), Solène Côté (Collège de Maisonneuve) and Roxana Baloiu (Collège Dawson). The Women Inmates’ jury is composed of five inmates of the Joliette Institution. Claudia, Isabelle, Marie-Ève, Nicole and Roseline chose a winner from a selection of eight films from the official competition and Panorama. This initiative, implemented for the first time in Québec for the RIDM 2011 edition, is made in partnership with the Société Elizabeth Fry du Québec, the Entente sur le développement culturel de Montréal – project supported by the ministère de la Culture et des communications and Ville de Montréal. The RIDM is pleased to announce that there will be an additional screening of Hale County This Morning, This Evening by RaMell Ross. The film, which just won the Grand Prize for best international feature, will be screened this Sunday, November 18 at 9 p.m. in the Salle Canal D of the Cinémathèque québécoise.